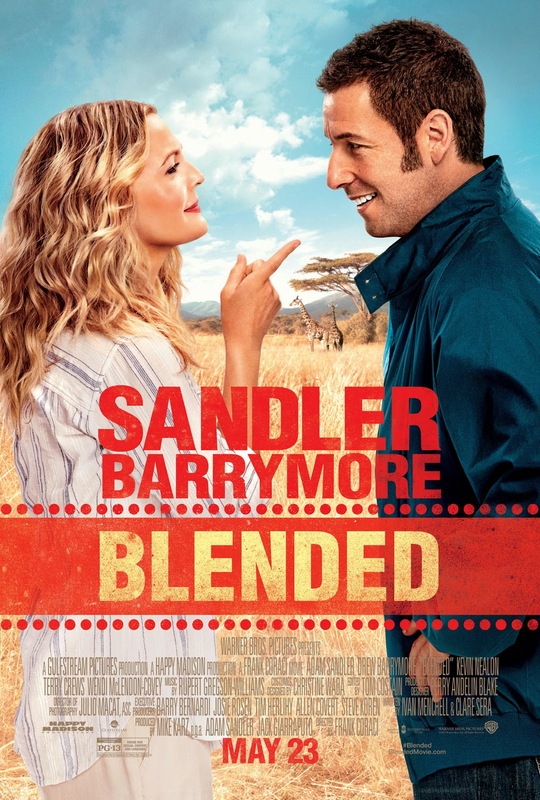 Blended is about a couple after a disastrous blind date, single parents Lauren and Jim agree on only one thing: they never want to see each other again. But when they each sign up separately for a fabulous family vacation with their kids, they are all stuck sharing a suite at a luxurious African safari resort for a week . Blended is a comedy movie between stars Adam Sandler and Drew Barrymoore. After getting a bad taste from Seth McFarlane's Movie, I had to go to get some good laugh. At least the show was pretty decent with silly laughs which are bearable. Even though Adam Sandler's acting remain lazy, sloppy through out his recent films, Drew Barrymoore was able to save this movie from going terribad. Also not to forget the cameo done by Terry Crews which never seems to fail in giving me a few giggles here and there, during his intermission through out the movie. Story line was pretty direct and straightforward where two single parents met up coincidentally at their Africa trip which made them get a closer bonding which eventually lead to a happy ending. However its not about the results but the journey of them getting together with all of the silly comedic scene and what not. As you all can know that there is subtle advertising in this movie like in his previous movies production. Well at least towards the end of the movie , it tries to add some moral values about putting higher priority on your children. Not to be getting a wrong idea, this movie is quite good to watch just for laughs. Overall 7/10 if you would like some comedic movie for this month, probably this might be one of the movie to watch on the big screens. But its an easy miss anyway..